A private villa in Thailand yields plenty of stunning photo opportunities for the bride and groom – without even having to leave the property. If you’re heading to Thailand to tie the knot, chances are that picking a venue with lots of gorgeous places to take photos will be at the top of your priority list. 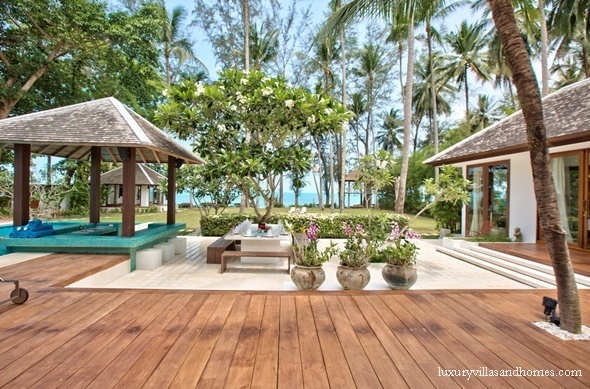 For brides and grooms getting married in one of Thailand’s stunning private villas – many of which feature direct access to spectacular beaches – photo opportunities abound. From adorable action shots to exquisite images with colourful sunset backgrounds, there’s plenty of choice when it comes to selecting the spots around your villa that will create the most memorable wedding photographs. Below are a few ideas to get you started on the ultimate album. 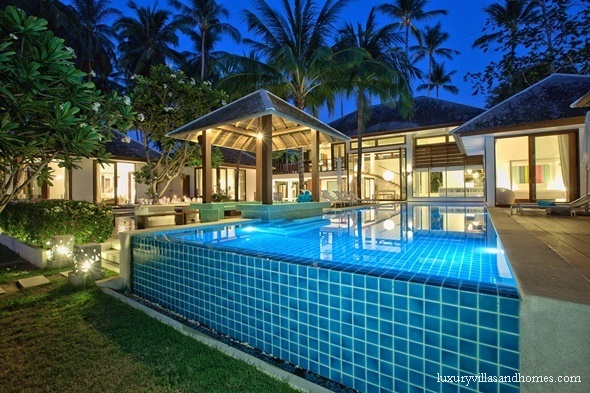 If there’s one thing that Thailand’s private villas offer in spades, it’s architectural wow factor. From traditional teak Thai buildings with gorgeous vaulted ceilings to sleek, contemporary mansions, you can take your pick of the chic. If you are getting married in a venue with an eye-catching architectural aesthetic, it makes sense to incorporate it into your wedding photographs. At Ban Suriya in Koh Samui, the striking double height glazed entrance that leads from the main villa out onto the pool terrace is the perfect spot, and your photographer will know just how to make this chic space work its magic. 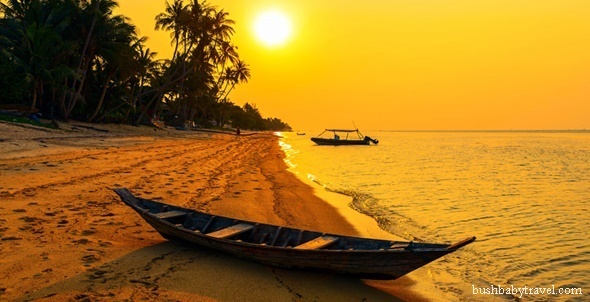 If you prefer more of a natural setting for your wedding photographs, then you’ll be spoilt for choice with a villa on one of the Thai islands. The gardens of your private villa are likely to be dotted with myriad tropical trees and shrubs – including frangipani trees. As well as providing an irresistibly exotic fragrance throughout your villa’s gardens, frangipani trees bloom an array of tiny flowers that will give your wedding photos an extra flourish of prettiness. In Thailand, the majority of frangipani trees flower in soft white and rich peach colours, but there is an array of colourful varieties that you might be able to use as a photo backdrop. In addition to all of the natural treasures that make your villa’s garden such a perfect setting for wedding photographs, there’s often a wealth of ornamental features that have been incorporated for extra visual wow factor. These range from stunning stone water features to ornately carved wooden or stone statues, many of which exude a uniquely Thai feel – perfect if you want your wedding album to have a distinctly Thai look. 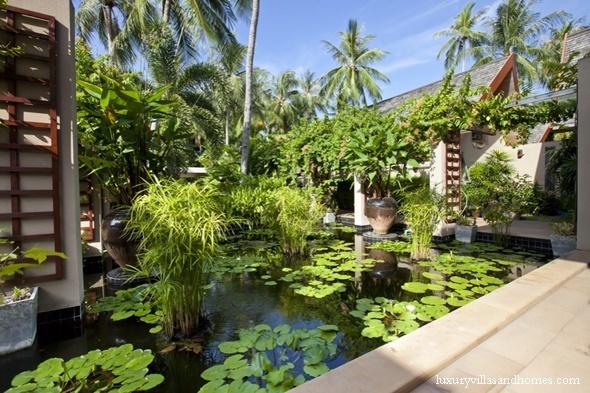 Ponds with floating water lotus flowers are another common feature if you’re looking to incorporate a variety of different Thai settings. No Thailand wedding album would be complete without the inclusion of a few glorious beach shots – especially if you’re hosting your ceremony in a private villa with direct access to a stretch of gleaming sand and blue ocean. Many brides and grooms save their post-ceremony photo shoot until sunset, when a cacophony of peach, rouge and scarlet hues light up the sky. It’s only a short walk back to the villa after your seaside photo shoot for a celebratory glass of chilled Prosecco. When we imagine the tropics, swaying palm trees are one of the first images that come to mind – so why not incorporate them into your tropical wedding photographs? 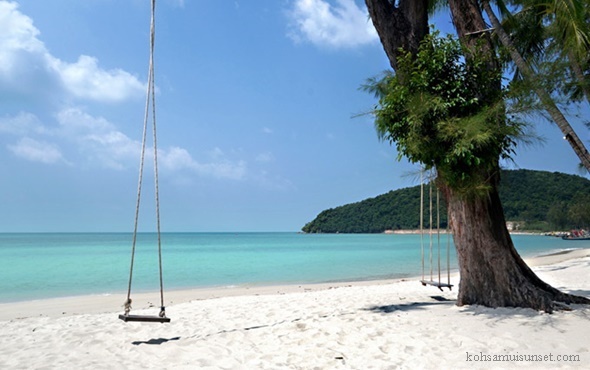 If your villa offers direct access to the beach, there may even be a couple of wooden beach swings hanging from the palm trees as well. These could make for some adorable action shots of the bride and groom together, having plenty of fun on the very first day of their marriage.